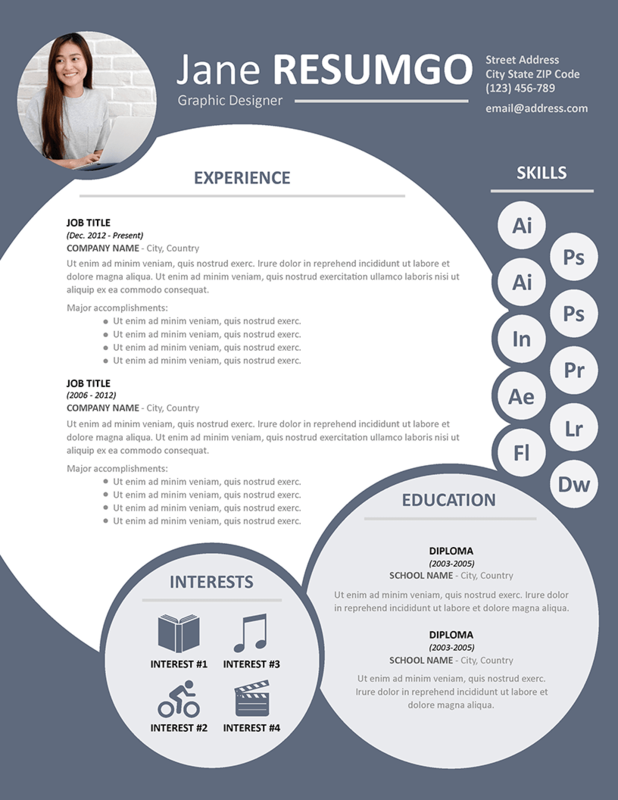 This resume template will sum-up your information in 3 different bubbles. The main bubble is dedicated to your professional experience, on the higher part of the template. On the lower part, 2 other bubbles for your education and your interests.